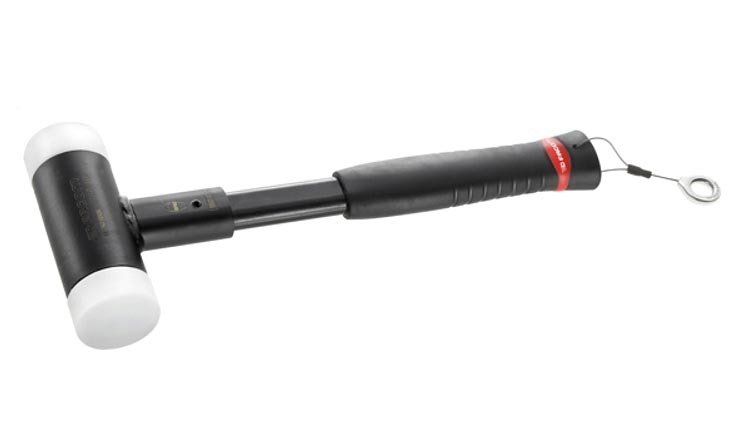 Facom Dead Blow Hammer with Replaceable Tips (50mm)(212A.50SLS) - Facom offers a Safety Lock System (SLS) line of 190 pre-equipped tools, 3 lanyards, 2 belts, 2 belt accessories and 2 carabiners. The use of these tools, when working at heights, minimizes the risk of damage and injury to people and property. The crimped "rotating" cable solution, selected and tested by FACOM, maintains user ergonomics. Easily replaceable, special nylon tips shore hardness D74 Â± 5.